I have this problem since I bought the bike, th dealer says that the problem is me, I had 6 or 7 bukes in my 25 years of riding and 6 of them in amature racing, and never missed a downshift. This Saturday I will send my Ducati to my local dealer to make the first 1 year revision(10.000km), and also make the recall interventions (CR 139 e CR 142 ), But more important the need to open the gearbox to see why is my Ducati sometimes fails to engage from 6th to 5th gear which originate a false neutral. 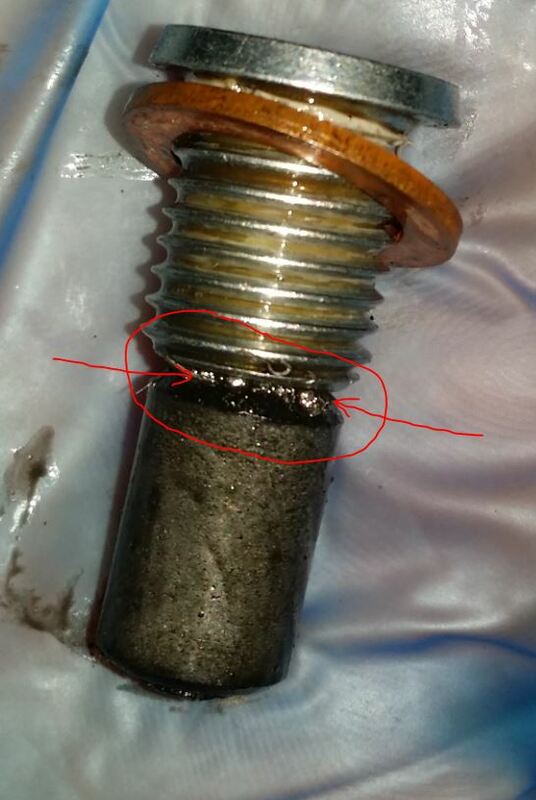 In attach I’m sending some photos, I bend over my Ducati and took the hex bolt from the engine crankcase out, and find a lot of metallic debris, this was only in that bolt, probably there is more in the oil filters. This clearly shoes that something is not working has it should be and need to be inspect and repaired. Please see the attachment photos.